A squad of assailants, including gunmen and a suicide bomber, stormed a government building Wednesday in the eastern Afghan city of Jalalabad, killing at least 11 people, in the latest of half a dozen deadly attacks in that region since mid-June. No group has asserted responsibility for the attack, but most of the others have been claimed by the Islamic State. 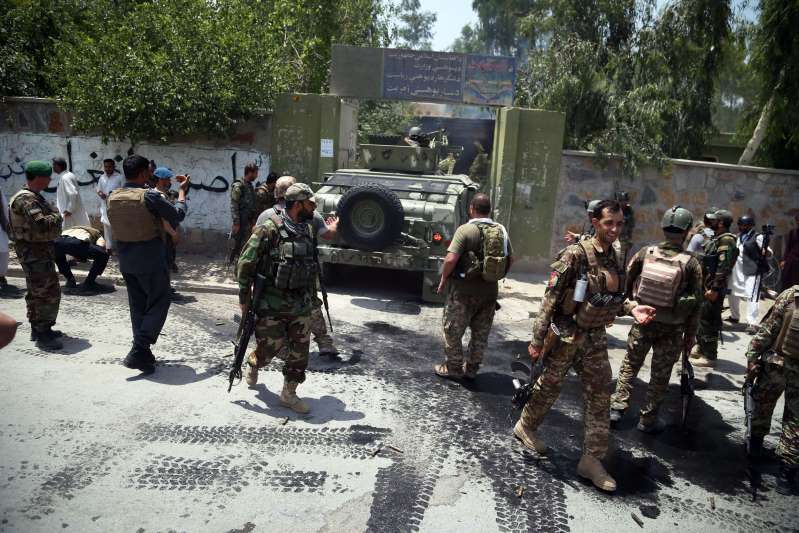 [post_ads]The morning attack on a busy education office building in the crowded provincial capital left several dozen officials and visitors trapped for hours while insurgents and security forces exchanged gunfire, officials and witnesses said. Ten other people were injured. A spokesman for the provincial governor’s office said the assault had ended but gave no details. Wednesday’s attack came one day after a suicide bombing in Jalalabad, claimed by the Islamic State, killed 12 people, including several children who were working in a carwash, officials said. The bomber detonated near a gas station, setting off a large fire. Two people working for the national intelligence agency, which has offices nearby, were among the dead. The spate of Islamic State attacks in the Jalalabad region and surrounding Nangahar province has come as U.S. and Afghan Special Operations forces have stepped up their joint counterterror campaign against the violent foreign-based insurgent group, which controls several districts of Nangahar near the Pakistan border. It also comes as hopes have soared for negotiations and reconciliation with the Taliban, a strictly Afghan insurgency, after a successful three-day cease-fire between the Taliban and the government of President Ashraf Ghani that,triggered an outpouring of emotional support and sent Taliban fighters pouring into cities and towns to greet civilians and Afghan troops. During and shortly after that three-day truce, the Islamic State staged two deadly attacks in Nangahar, both aimed at gatherings or locations where government officials, elders and clerics, and local Taliban forces had met to talk for the first time in the 17-year conflict. 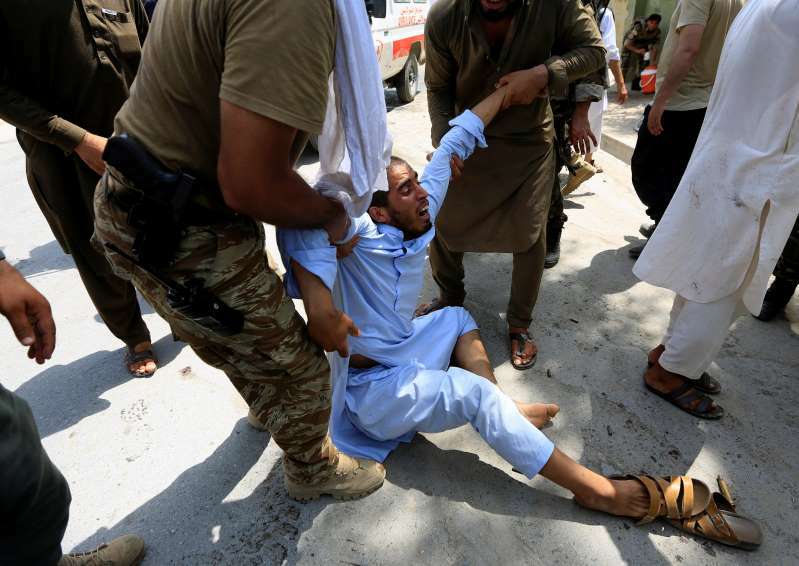 On June 16, 26 people were killed in an attack on one gathering in the Rodat district, where Taliban and local leaders were celebrating the Eid holiday that marks the end of the fasting month of Ramadan. Officials said explosives were hidden in a car near the meeting site. Then on July 1, a suicide bombing in Jalalabad killed at least 19 people, most of them members of the country’s Sikh religious minority who were traveling in a vehicle to a meeting with Ghani. One of the dead was Atwar Singh Khalsa, a Sikh candidate for parliamentary elections to be held in October, the first-ever legislative contender from that group. A community of Sikh traders and merchants has been based in Jalalabad for decades, many originally migrants from India. Sikhs suffered discrimination during recent years of conflict and Taliban rule, and their numbers have shrunk from tens of thousands to less than 1,000. Khalsa’s candidacy was a sign of the group’s hopes for political resurgence. A day earlier, the Islamic State claimed a gruesome attack on a school in Nangahar, in which the assailants killed three night watchmen, beheading two of them, and setting fire to the school. Analysts said the surge in attacks in Jalalabad by the Islamic State suggested it has decided to hit back hard against both the growing national momentum for peace with the Taliban and demonstrate its continued power to strike in the regional capital after U.S. and Afghan troops have driven it out of its original border-area strongholds.